This is one of those products you have to try to believe the results. It arrived beautifully packaged in a box that it can be stored in. I requires 1 AAA battery that thankfully came with the device. There is no on/off it works when you lightly press it on your skin. It is very gentle but boy does it do it's job. It states that it could take 4 to 6 weeks to see results but as you can see from my photos it was pretty much instant! The darkness under my eyes was gone and I looked less tired. It is easy to glide across your skin with no pulling or pinching. 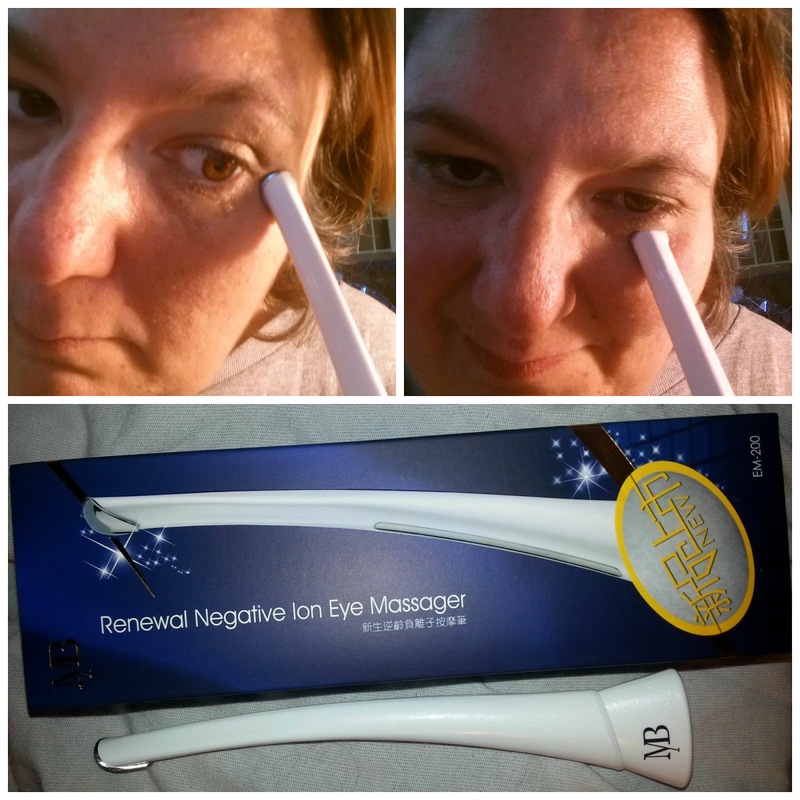 I am very impressed with the results and I am about to try it on my forehead! It can be used on any area of issue you have on your face. How it works is by encouraging your skin to absorb the products making the more effective. Please note this does not come with the serum, I used a product I had at home and it worked great! The new, FDA registered (reg #D233185) ionic infusion device uses negative-ion, micro-electric pulses and high-frequency, ultrasonic vibration to gently 'push' treatments deeper. Enhancing cosmetic treatments, particularly in the under-eye area. This high-tech, palm-sized sonic infusion device is designed to assist build your skin's resilience & flexibility and prevent future damage around your eye area. 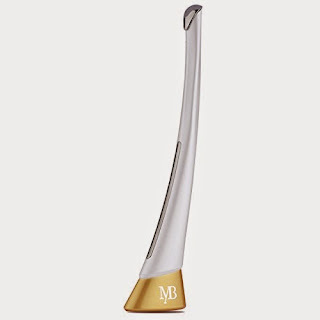 Works by gently tapping the skin around your eye at around 140+ sonic bps (beats per second) this amazing system helps boost absorption of serums and creams in a way that's just not possible when using your finger alone. Perfect for both; lower & upper eye area. Can also be used on the brow, forehead and lip areas. 30 seconds of use, in the area around each eye results in an immediately hydrated, more firm and refreshed eye. You must see noticeable improvement in your skin's elasticity, or 100% of your money back. Lightly touch the device to your skin under your eye - device automatically senses contact electronically and goes to work, encouraging absorption of the treatment into your skin, where it can work best. Following the massage pattern in the included instructions, continue to massage the area for 30-seconds. Repeat, morning & evening before bedtime. After 4-6 weeks, fine lines and puffiness are visibly reduced and the area under your eyes appears significantly younger. Try it 100% RISK-FREE for 90-days. 100% MONEY-BACK GUARANTEE - You just can't lose. DIRECT from the manufacturer - no middle man, means you get the best value.